The Colombo Bike Week was conceived with the noble intention of promoting Sri Lanka as a Premier tourist destination for Big Bikers throughout the world. Sri Lanka is just shrugging off the image of a civil war-torn nation and moving ahead to be on par with the rest of the world. Currently only motorbikes with 400cc and below are allowed to be registered by the Registrar of Motor Vehicles. However, there are a handful of bikes with bigger capacities that were registered during a short promotion period a few years ago. 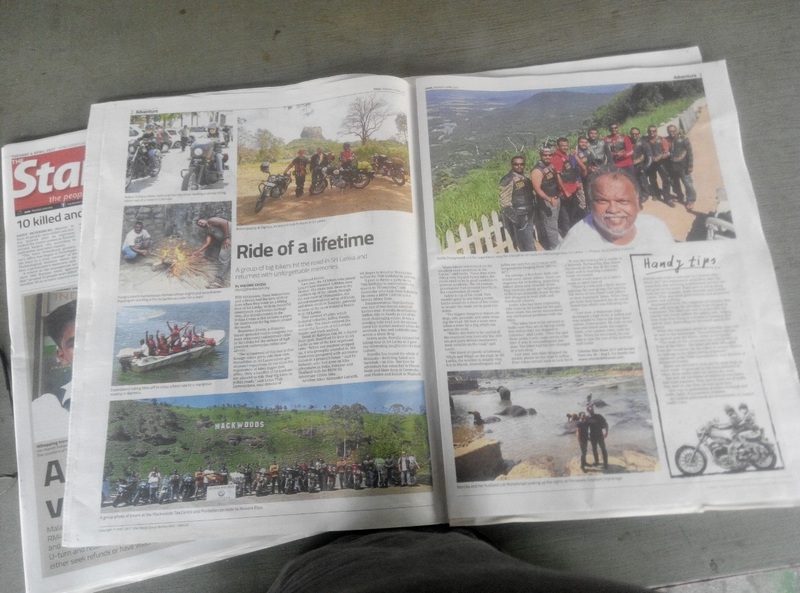 Buzzword Events the promoter of specialised bike tours from Malaysia had started bringing in BIG BIKERS from ASEAN over the last 5 years. 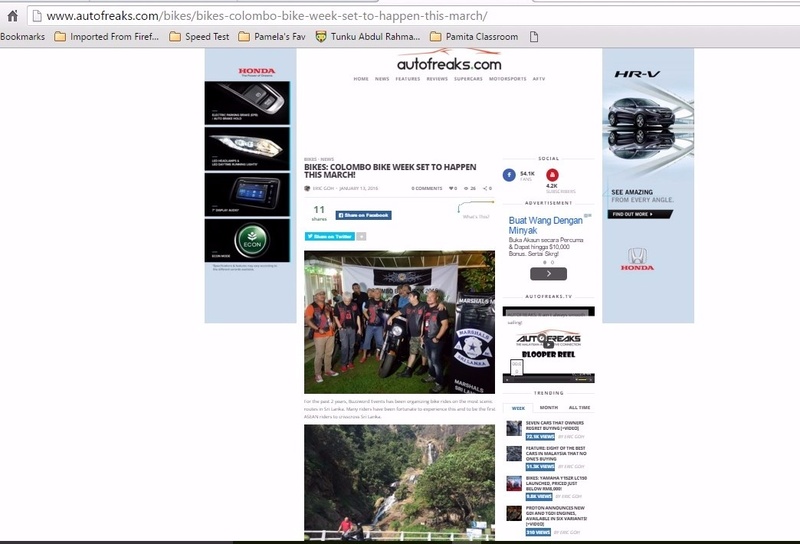 We now want to promote a vibrant biking culture amongst Sri Lankans hungry for the thrill of big bikes and the reputation and excitement it instills. 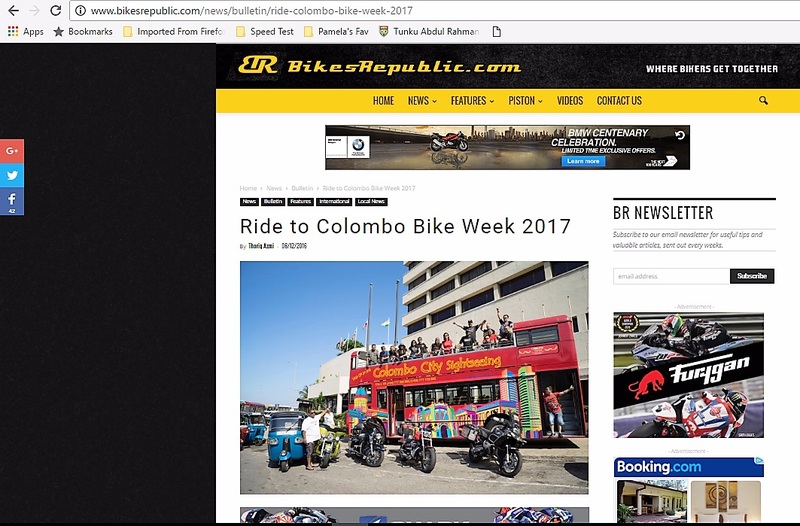 Buzzword International (Lanka) Pte Ltd, a subsidiary of Buzzword Events Malaysia, is currently the promoter of the COLOMBO BIKE WEEK. 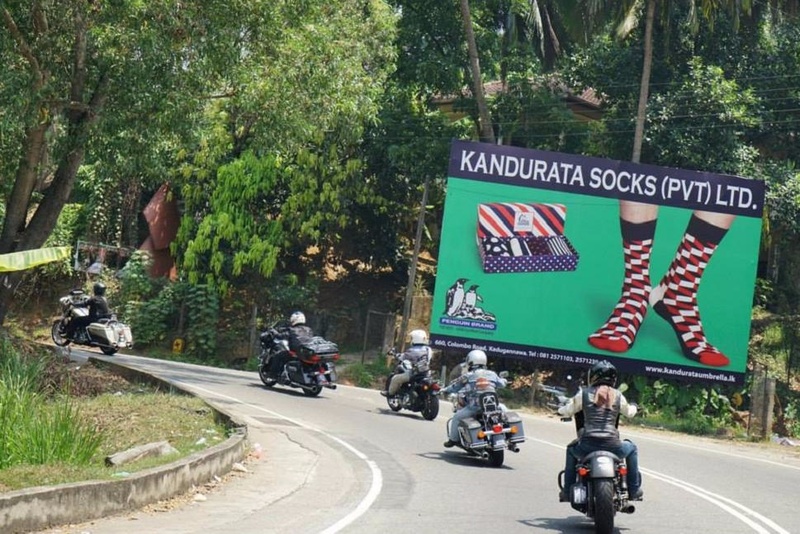 We have received endorsement from the Sri Lanka Tourism Promotions Bureau for this event. 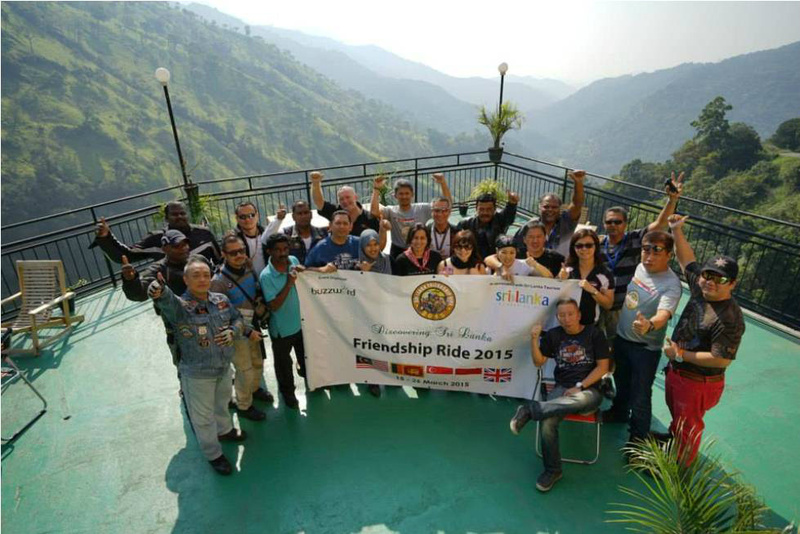 The next Ride is scheduled especially for Honda Goldwing Group from Malaysia. CBW 2018 participants hosted by Sri Lanka Special Task Force Training School on 9 May 2018. 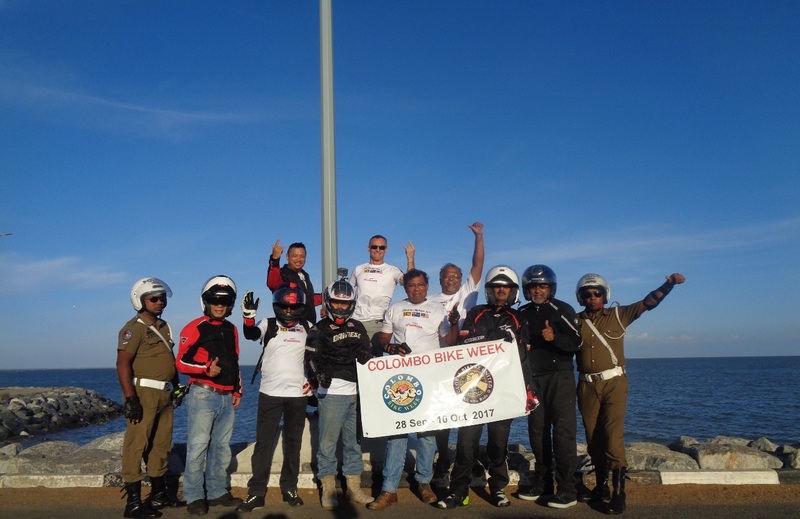 Colombo Bike Week 2017 participants at Sanguppiddy Bridge, Jaffna, Sri Lanka. 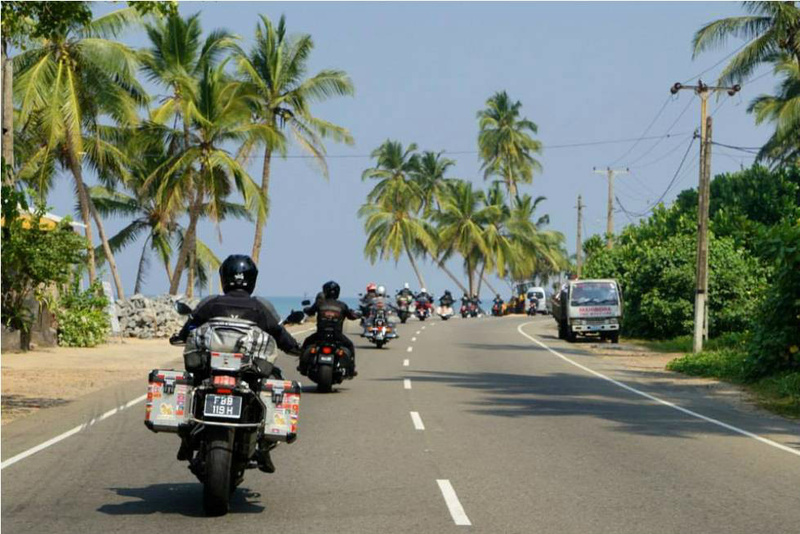 The Itinerary was designed to ensure all foreign bikers get to enjoy the sight, sounds and taste of Sri Lanka and take back wonderful memories. Thurs April 26 - Arrive Negombo, stay in the brand new 4 star Boutique hotel - The Escape. Friday April 27 - Collect bikes from warehouse. 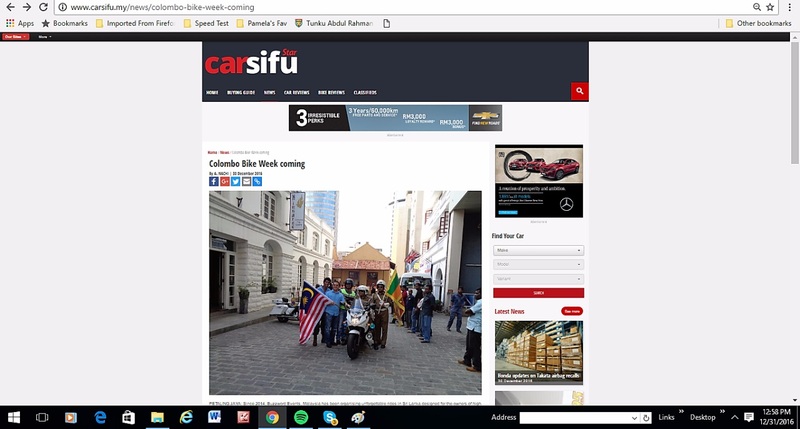 Joy Ride around Colombo. 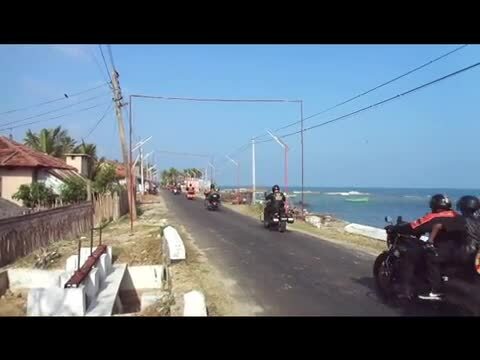 Sat Apr 28 - Start ride to Jaffna. Breakfast Stop at Wenapuwa. Lunch stop at Medawachchiya Army Cafe. Pitstop in Mannar. Ride over Sanggupiddy Bridge to Jaffna. Stay at 4 star Thinnai Hotel.Ride distance 420km. Travel time - 8 hours. Sunday April 29 - Its a National Holiday for WESAK. Ride to Point Pedro and then back for lunch at the Thinnai. Visit Casurina Beach for a swim and then to Nallur Kovil and back to Hotel for wash up. Dinner at a famous seafood restaurant The COSY in Jaffna. Ride distance 120km. Travel time - 8 hours. Monday April 30 - Early morning ride. Breakfast at Elephant Pass Army Cafe. Lunch at Heritage Habarana. Check in at Amaya Lake Resort. Evening visit UNESCO site - SIGIRIYA ROCK FORTRESS. At night Dinner at Hotel. Free & Easy. Ride distance - 250km. Ride time is 7 hours. Tues 1 May - After breakfast head to UNESCO HERITAGE CITY of Anuradhapura. Visit ancient temples and palaces and have lunch at a restaurant. Return to Habarana and relax at hotel till dinner. Ride distance : 140km. Ride time : 4 hours. Dinner at the 5 star The Calm Resort, Passikudah. 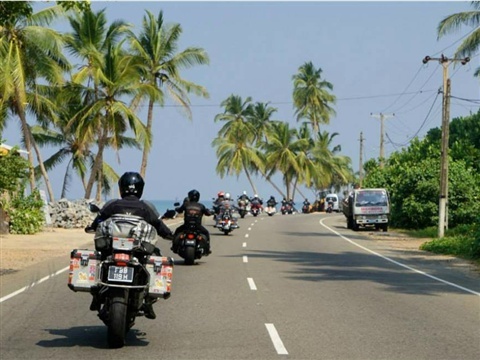 Wed 2 May - Ride at 8am to Polonnaruwa and then on to the East Coast resort town of Passikuda. Have lunch at a restaurant there and then Check-in to The Calm Resort and Spa. Rest of the day free and easy till dinner. Ride distance : 120km. Ride Time: 4 hours. Thursday 3 May - Free and Easy at Resort. Swim in the Indian Ocean, eat fresh seafood and indulge by the pool. 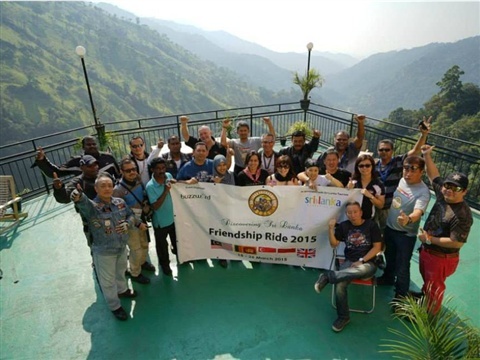 Friday 4 May - Ride at 8am and head to Kandy via 18 hairpin turns at Mahiyanganaya. Stay at 4 star hotel - Amaya Hills. Visit world famous UNESCO HERITAGE SITE Kandy Tooth Temple in the evening. Ride distance :210KM. Total travel time 8 hours. Saturday 5 May -Ride on mountain roads. Lunch at cool mountain resort of Nuwara Eliya. Check into Heritage hotel - The Hill Club. Indulge in some Golf at the Nuwara Eliya Golf Course. Ride distance :95km. Total travel time 4 hours. Sunday 6 May - Free and Easy Day at Nuwara Eliya. Enjoy cool climate and refreshingly clean air. Golf is possible. Monday 7 May - Ride after breakfast on mountain and winding roads to Embilipitiya. Lunch at a restaurannt. Then head on to Port City of Hambantota. Check into Shangrila Hotel and Golf Resort. Ride distance : 180km. Riding hours: 6 hours. Tuesday 8 May: Free and Easy day. Possibility of going to Dolphin and Whale watch at Mirissa or Golf at the Resort. 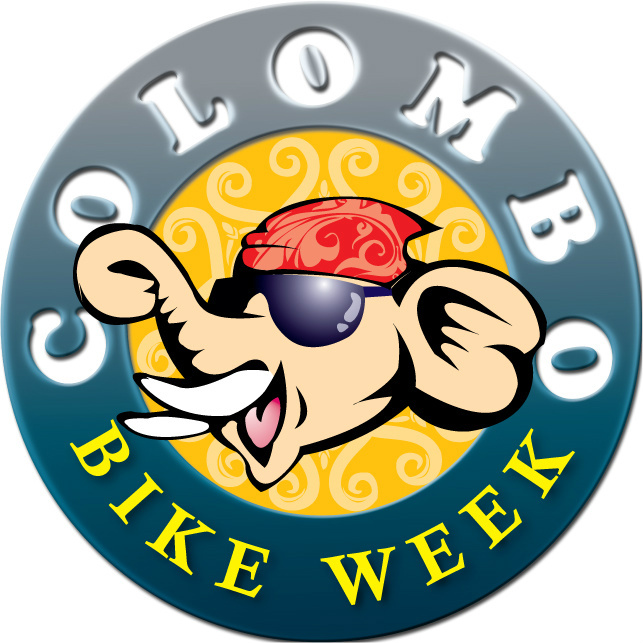 Wednesday 9 May - Early morning ride to historic Galle town and then lunch at Hikkaduwa till we reach Colombo. Check-in to Colombo Hilton. Dinner at the Hilton. Ride distance 240km. Ride time - 8 hours. Thursday 10 May - Free and Easy day at Colombo. Golf possible at Colombo Golf Club. Shopping and Sightseeing. At night attend Bikers Party at Galle Face Green. Friday 11 May - After breakfast, return bikes to warehouse. Return to hotel.Free and easy day at own costs. Airport transfer for evening flight to Kuala Lumpur.